2. 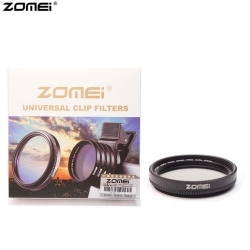 Perfect for shooting water flow, traffic, ocean, clouds, flow and other mobile photography. 3. Portable and detachable, you can take pictures with your devices anytime, travel with this lens at ease. 4. A step clip-on design, easy to clip the lens stably and securely on your device for immediate use. 5. The ND 2-400 Lens is also adaptable for your 37mm Digital Camera wire. 6. Compatible with iPhone 6/6 S 6 Plus / 6 S Plus iPhone 5 5C 5S 4 4S Samsung HTC Motorola iPad tablets and smartphones as the distance between the camera lens and the top is less than 1 " .